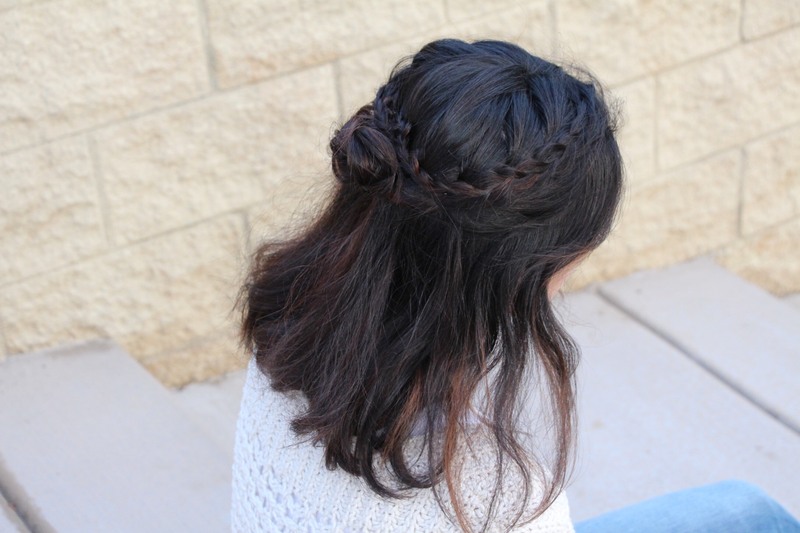 Today I am going to show you how to create this rosette half-up hairstyle that is perfect for most hair lengths (short-haired girls I’m looking at you! ), and great for the holidays or any special occasion. 1.) 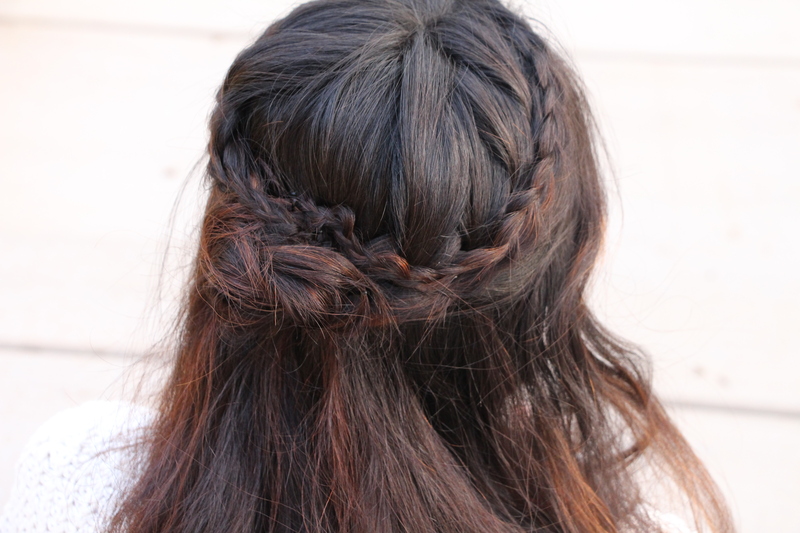 Part your hair in the middle (any part will work but a middle part gives it more of a “boho” look). 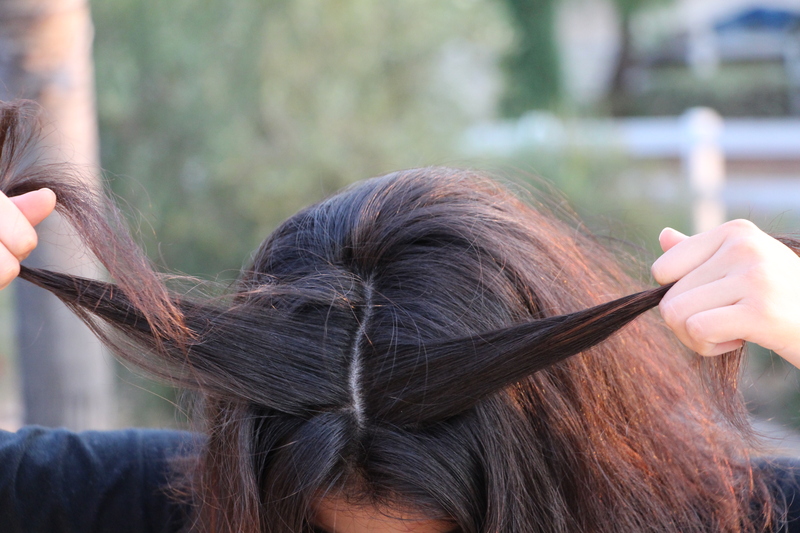 Grab two small sections about an inch from your hairline. 2.) 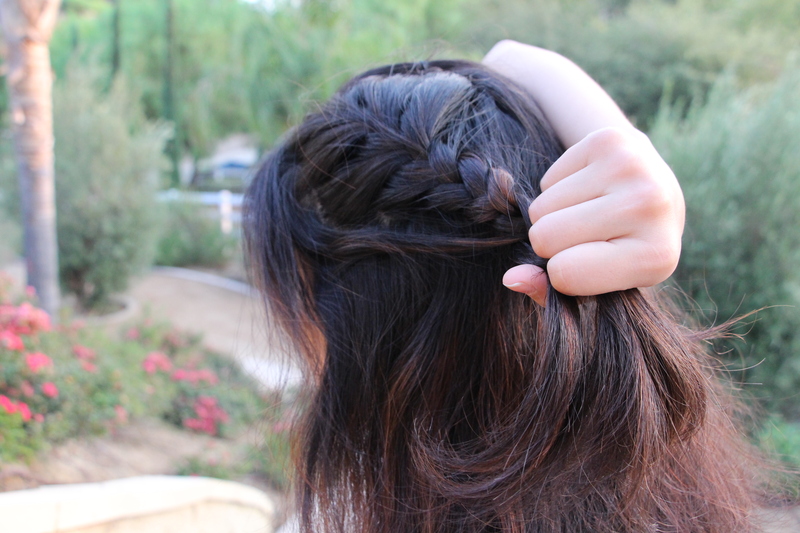 Do a french braid but only add in pieces of hair until you are about half-way to your ear. 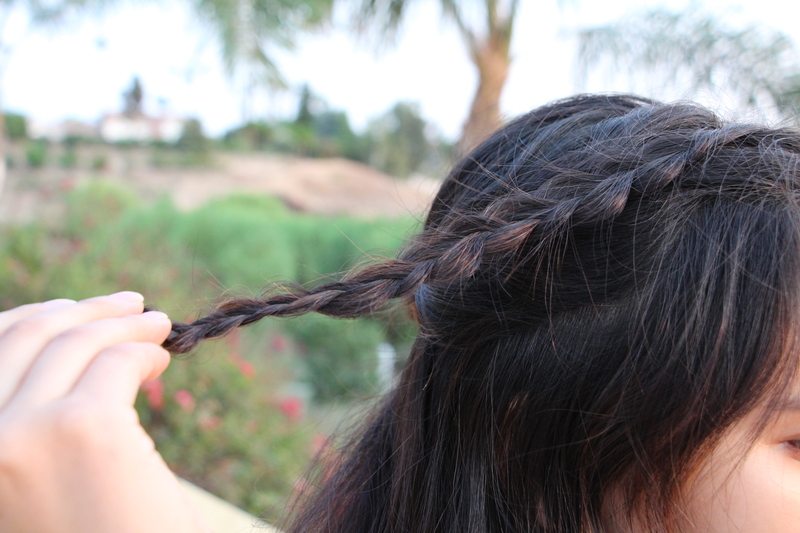 Continue braiding and secure with an elastic. 3.) 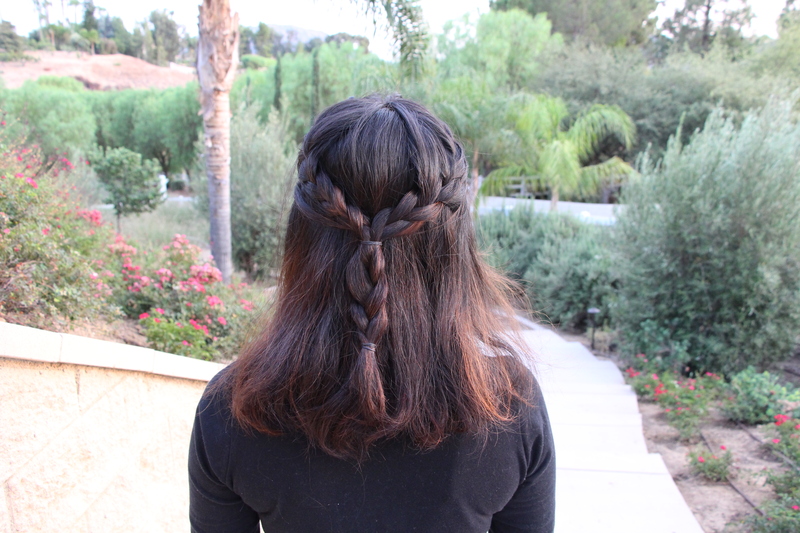 Repeat on the other side and then combine both braids and secure with an elastic. 5.) 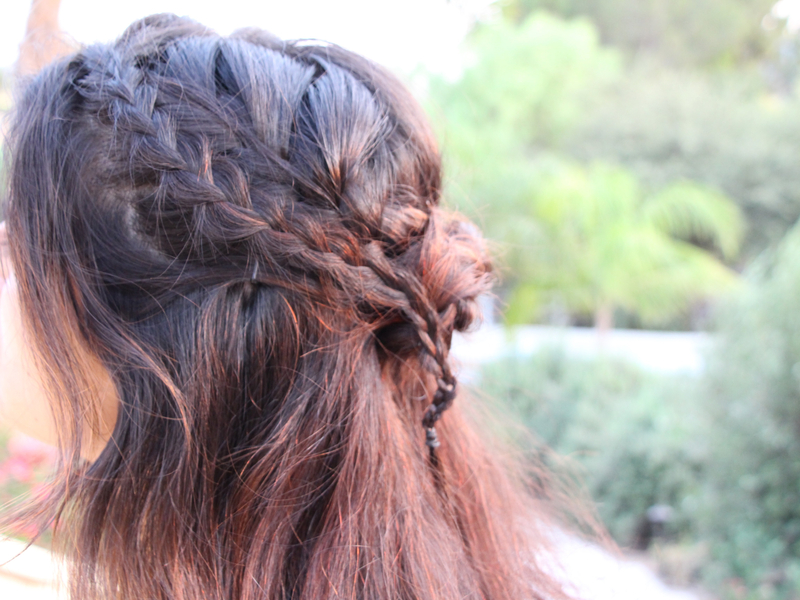 Grab the hair you had initially left out by your hairline and do a regular braid. 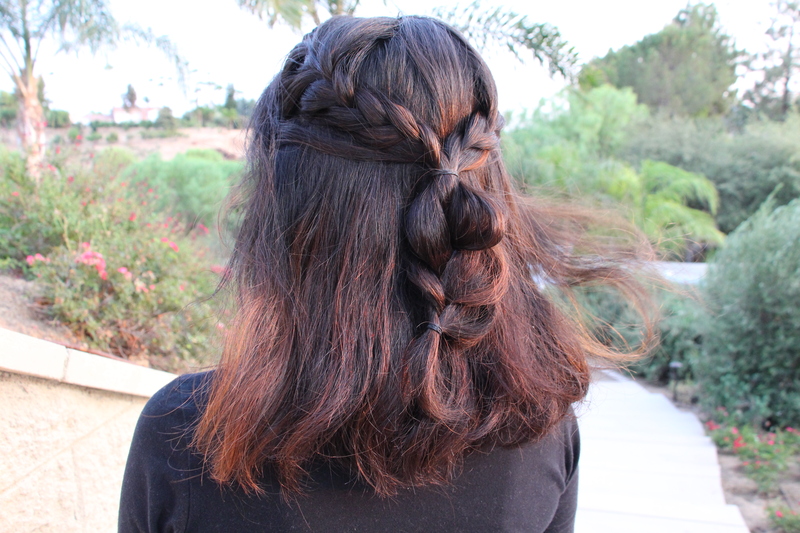 Pancake it by gently pulling on the outer edges of the braid. 5.) 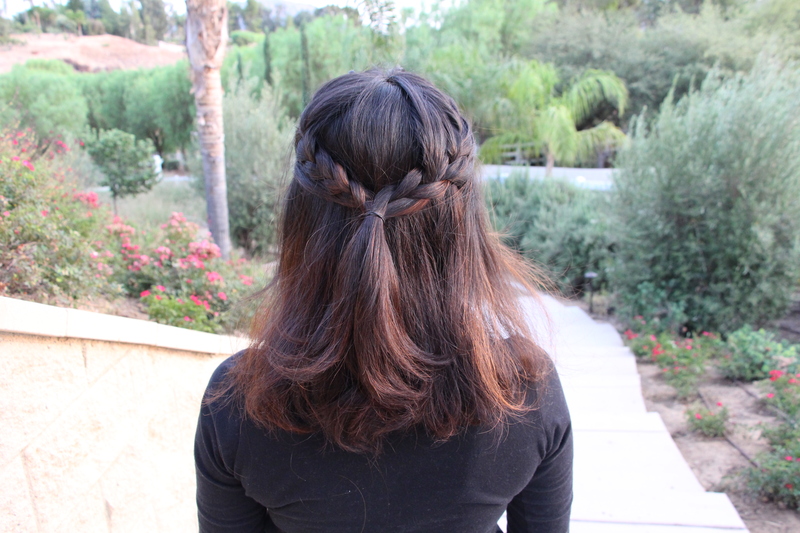 Align the smaller braid on top of the french braid and bobby pin it as needed to stay in place. 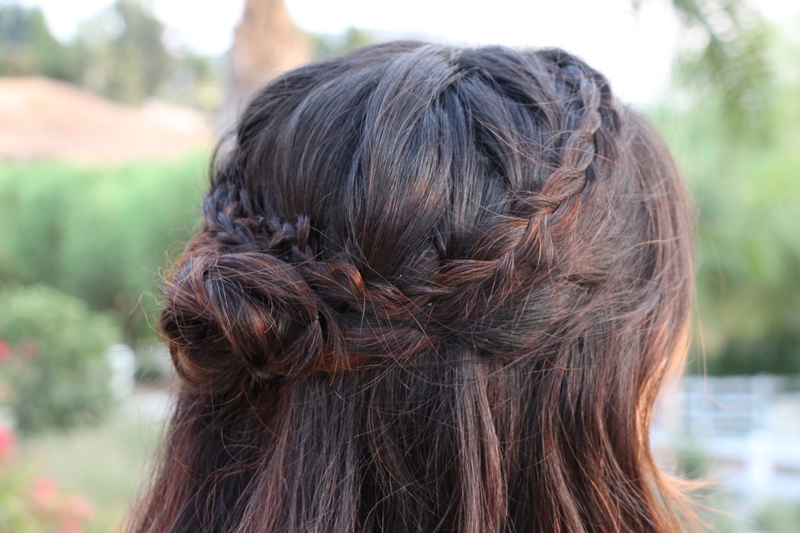 Wrap the excess part of the braid around your rosette to disguise it and pin in place. Repeat on the other side. 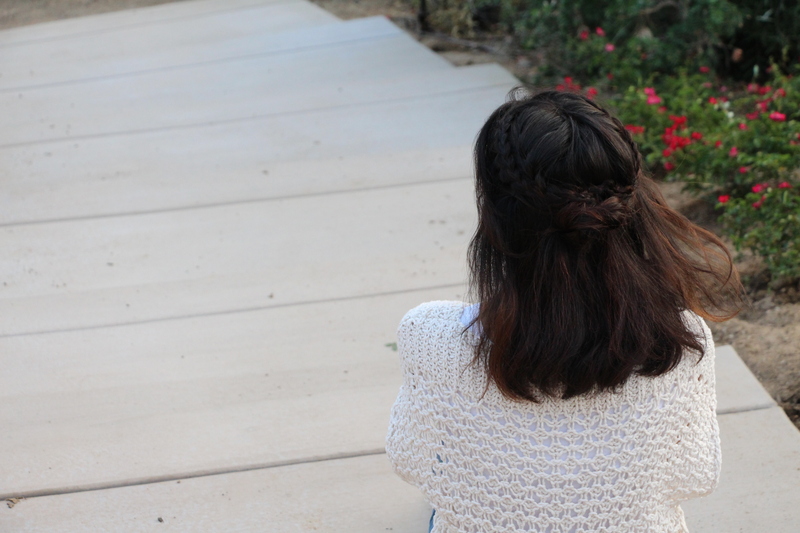 Be sure to leave a comment below and don’t forget to subscribe! 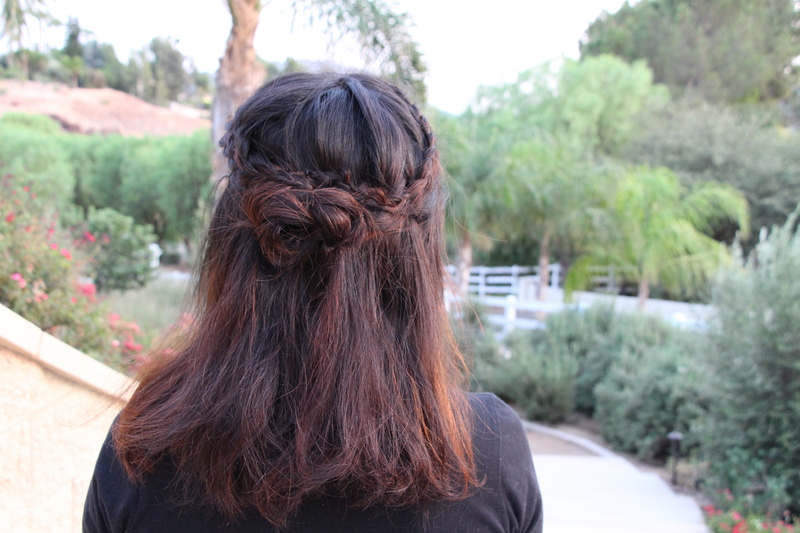 If you have any hairstyle requests please leave them here and if you would like to take our survey click here! Thank you Clare! you are so sweet! Blessed Christmas to you and your family!